NTRA Purchasing and John Deere are pleased to bring an exclusive offer to current members of the NTRA, NTRA member organizations and Breeders’ Cup nominators: $1,000 off a select John Deere compact utility tractor or utility tractor. All Texas Horsemen’s Partnership members are eligible for this offer by virtue of the THP’s membership in the NTRA. Contact NTRA Purchasing to request a special coupon that entitles you to $1,000 OFF your local John Deere dealer’s best offer on a select new John Deere compact utility or utility tractor (model 4210, 4310, 4410, 4510, 4610, 4710, 5105, 5205, 5220, 5320, 5420 or 5520). 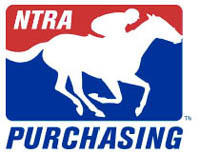 Call NTRA Purchasing toll-free at (866) 678-4289 to request your coupon TODAY! Don’t wait—coupons must be redeemed by Monday, July 7, 2003.